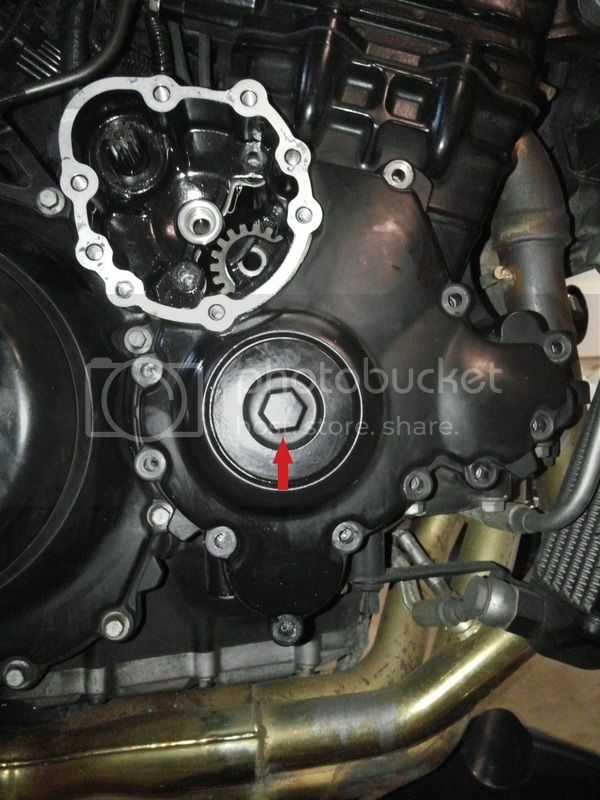 Thread: Can't remove stuck crankcase cover...please help! I need help removing the crankcase cover on my 04 S3. I had removed all bolts around the case and the 2 bolts behind the starter motor gear. I used a rubber mallet and gave several good whacks around but the cover did not budge. I used a screwdriver on the tabs and tried to pry it out but did not help either. The thing just would not budge! The previous owner had used some sort of cement gasket and now the cover is stuck. Do I need to remove the big bolt (red arrow) as well? Any tips please help. Thank you. No you don't need to remove the cover with red arrow. Take rubber or better yet hard plastic mallet and whack from different sides. There are at least 2 pins that float between the case and engine. Your trying to just break seal of gasket. Once you see a crack between case you can work it off. Thanks Indy. I guess I have to go back to my mallet again. Maybe I'll use my small deadblow hammer this time. Success!!! I used my deadblow hammer and with only 3 good whacks, the cover moved. To revive an old thread.. Speaking of the red arrow, has anyone had to remove or install this plug? How did you do it without scratching/damaging the finish? I wish I was as smart as you think you are. I’ve taken the plug out on my 2007 to do the valve shim service. I wrapped some electrical tape around it and used a hex socket to avoid scratching, worked perfectly.